11 photos of the Subway before it was modernised, including seven in the Broomloan Road workshop. 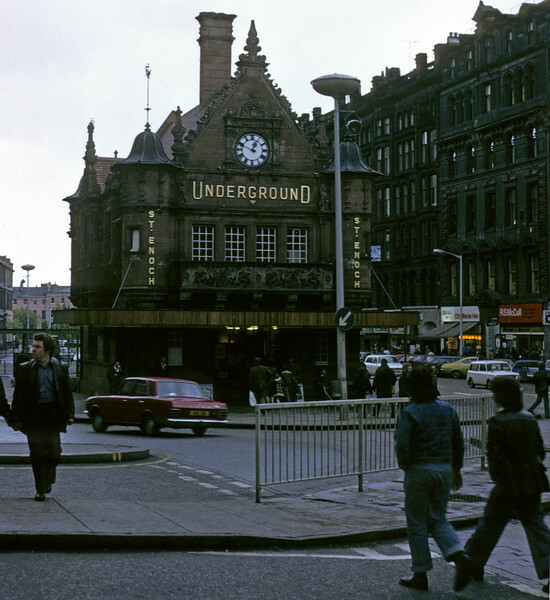 St Enoch station, Glasgow Underground, 11 May 1974 1. In 2010 the building was a Caffe Nero. Photo by Les Tindall.